In yet another move that indicates the White House does not take the threat of climate change seriously, the Trump administration has disbanded a federal advisory panel that worked to translate the government’s climate data into actionable insight for policymakers and the private sector, according to a report in the Washington Post. The 15-member Advisory Committee for the Sustained National Climate Assessment included academics, corporate representatives, and local officials who were tasked with helping public and private-sector officials understand the findings of the National Climate Assessment so that the information could factor into their long-term planning. Put more simply, the panel, which was founded in 2015, existed to make sure government data was able to help both the public and private sectors prepare for the inevitability and disruptiveness of climate change. Instead, as of Sunday, the panel no longer exists, and such advice will have to be obtained elsewhere. The National Climate Assessment is a quadrennial report, which summarizes the current and future impacts of climate change on the United States. A draft of part of the upcoming 2018 assessment was leaked this year by government scientists who were worried the report might be buried or suppressed by the Trump administration, which is staffed by more than a few officials — including the new head of the Environmental Protection Agency, Scott Pruitt — who deny the scientific consensus that human activity is the primary cause of global warming. President Trump also announced earlier this year that he will pull the U.S. out of the 2015 Paris Climate Accord, which aimed to internationally limit greenhouse-gas emissions in order to mitigate some of the worst effects of global warming. A spokesperson for the National Oceanic and Atmospheric Administration insisted to the Post that Friday’s disbanding of the climate advisory committee would have no effect on next year’s Climate Assessment, but it’s hard to see how business, state, and local officials will be better off without the group’s advice on how to act on it. 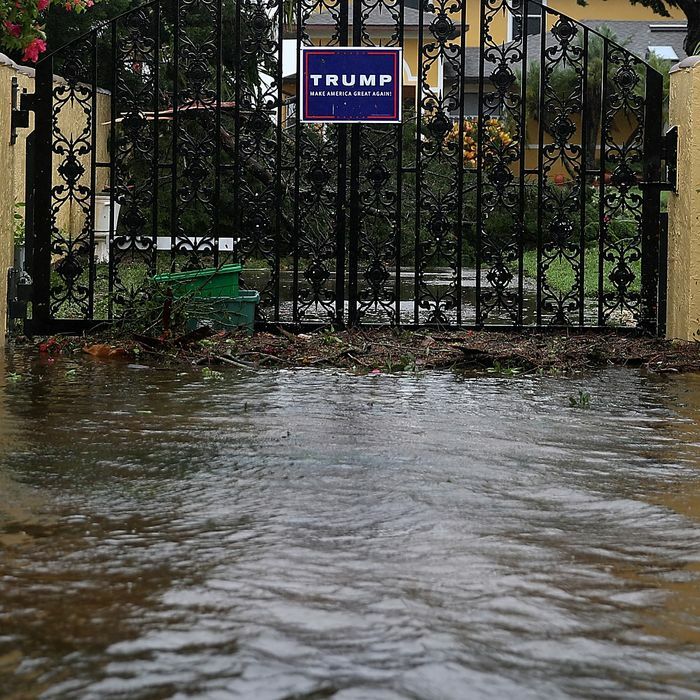 Furthermore, last week, President Trump signed an executive order that overturned an Obama administration rule requiring that infrastructure projects in coastal plains, or that are receiving federal aid, account for projected sea-level rise. The reason for that rule was that rising sea levels, in addition to more extreme weather, will likely result in more serious and more frequent flooding for such infrastructure, so the rule was a way to mandate those projects be engineered with that likelihood in mind. Now, per the White House, it will be left to state and local officials to set their own standards for the projects, and without advice from the disbanded panel. As an example of why the advisory committee was important, the Post reports that they were working to make sure the American Society of Civil Engineers would get the detailed data they needed to help develop new building codes based on the National Climate Assessment, rather than on historical weather records, which are no longer likely to be adequate by themselves. “We’re going to be running huge risks here and possibly end up hurting the next generation’s economic prospects,” he warned.